The mission of the Military Information Support Operations Command (Airborne) (Provisional) (MISOC[A][P]) is to provide fully capable military information support forces to combatant commanders, US ambassadors, and other agencies to synchronize plans and execute inform and influence activities across the range of military operations. 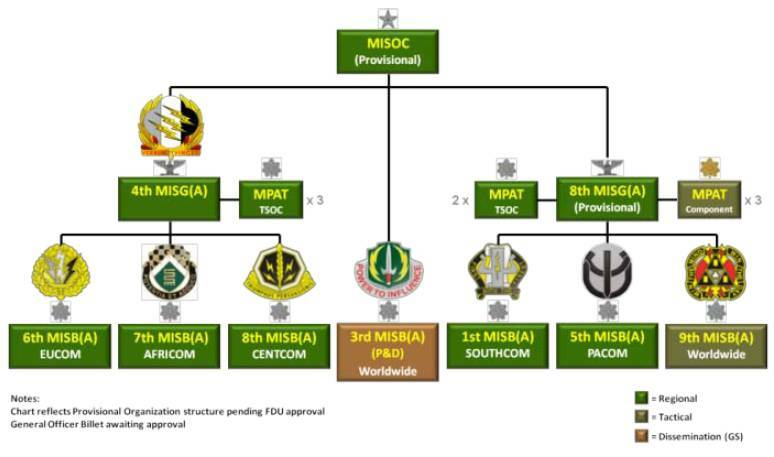 MISOC(A)(P) was provisionally activated in August 2011 as part of the reorganization of the 4th Military Information Support Operations Group (Airborne) and the entire Military Information Support Operations (MISO) Branch (previously known as Psychological Operations). The Command was created with the intent of unifying MISO efforts globally, increasing capacity, rebalancing the 37 series military occupation specialties within US Special Operations Command (SOCOM), investing in each theater special operations command, and select component commands by creating like-sized Mobile Planning and Advisory Teams (MPATs). 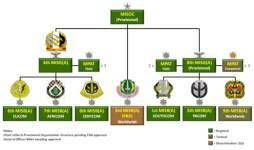 At the time of its activation, MISOC(A)(P) consisted of 2 military information support operations groups, one consisting of 3 regionally oriented battalions, and the other of 2 regionally oriented battalions, and a tactical battalion. The 8th Military Information Support Operations Group (Airborne) (Provisional) had been activated in August 2011 along with the Command. The Command was also directly supported by the 3rd Military Information Support Operations Battalion (Airborne), a separate battalion that provided general support media production and dissemination capability to Active and Reserve Component MISO elements.